Can you believe it’s been 3 years since my last shopping trip post?!?! Honestly, I completely forgot about the series, but I’m bringing it back! As a reminder, these posts are not sponsored and do not have any affiliate links. 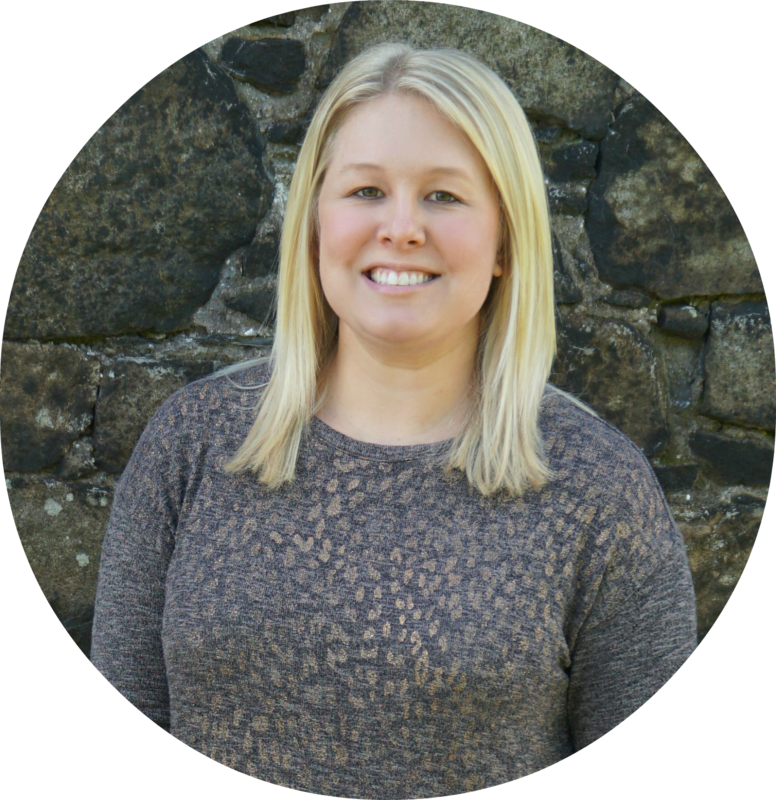 I write these posts just to share some of my favorite finds and give you all an idea of my style. I wrote my first Shopping Trip post in August 2012. At that time most of my house was not decorated yet and I couldn’t afford to buy everything I wanted to finish all of the rooms. I thought that sharing items that I wanted to buy would be a fun way to share my design style without breaking the bank. Today we’re going on a (virtual) shopping trip to Wal-Mart. OK, I know it doesn’t sound that cool and exciting, but they’ve really stepped up their home décor game in the last few years. 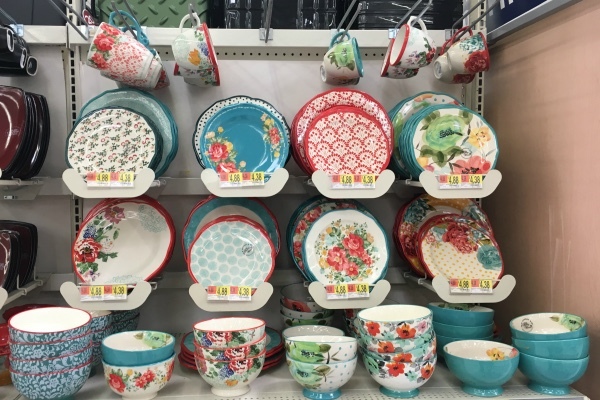 The Better Homes and Gardens line is consistently good and the new Pioneer Woman products are so cute! Grab your virtual shopping carts and let’s shop! I want to start with the Pioneer Woman products that I mentioned above. If you haven’t seen any of Ree’s line before, I want to warn you now – it’s all so cute! All of those pieces pictured are $4.38-$4.88. 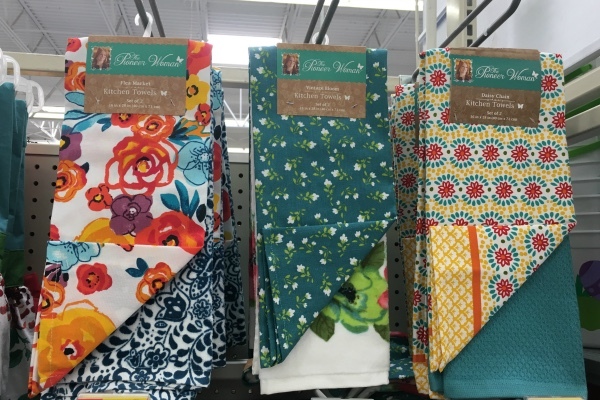 I love the patterns on the kitchen towels ($5.94/set of 2) - I have the set in the middle. 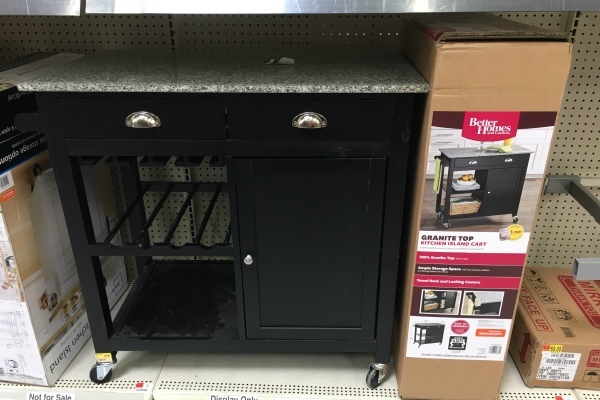 There are also matching oven mitts, tablecloths/runners, seat cushions, and other misc kitchen items. Wal-Mart surprisingly has a nice selection of coffee mugs. 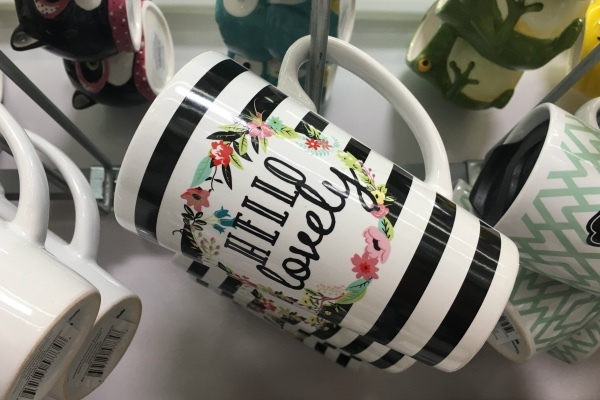 I love stripes and floral, so this Hello Lovely mug ($4.78) is right up my alley. 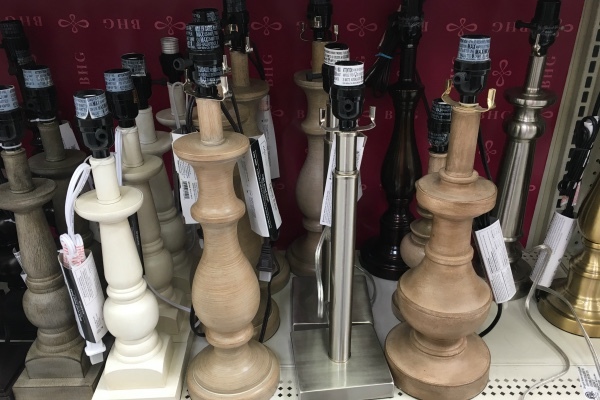 Last month I showed you our new bedroom lamps from Wal-Mart, so obviously I'm a fan of those, but I also like these wood ones. The one on the right ($17.23) is my favorite. 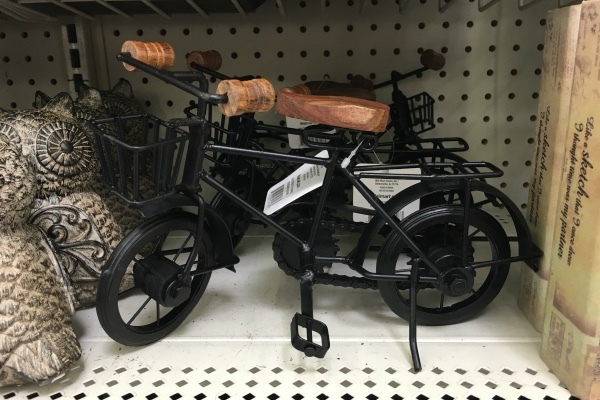 This metal bike ($9.88) is a smaller version of the one that I have on my mantle. I bought mine at a garage sale, but I wondering if it was originally from Wal-Mart. They look identical. 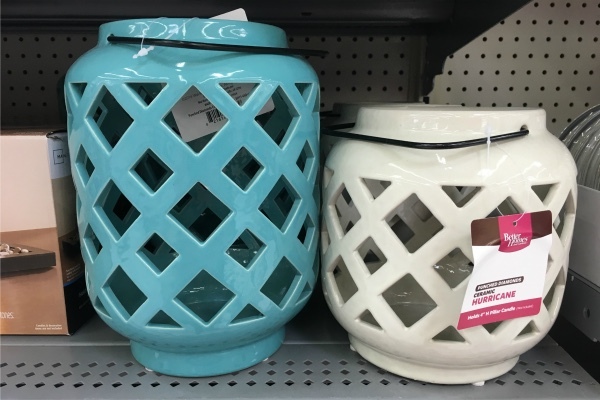 These ceramic hurricanes are perfect for spring/summer decor. The large one is $14.87 and the smaller one is $9.88. I know I've seen similar, more expensive ones at other stores. 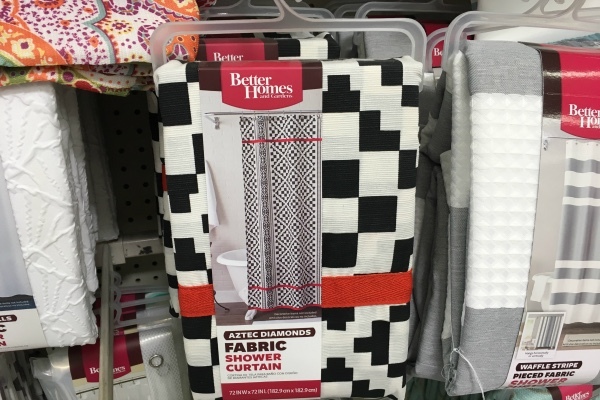 This shower curtain ($17.48) wouldn't work in either of my bathrooms, but I love the aztec print. I wouldn't use all of these pieces together, but adding one of them would be a fun addition to a bathroom. 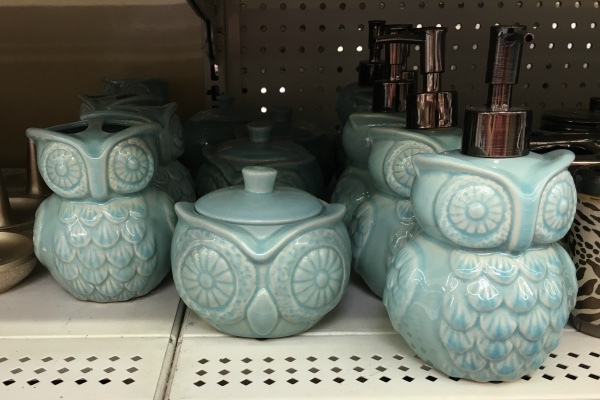 Actually, the owl jar ($9.88) would work in other rooms too. 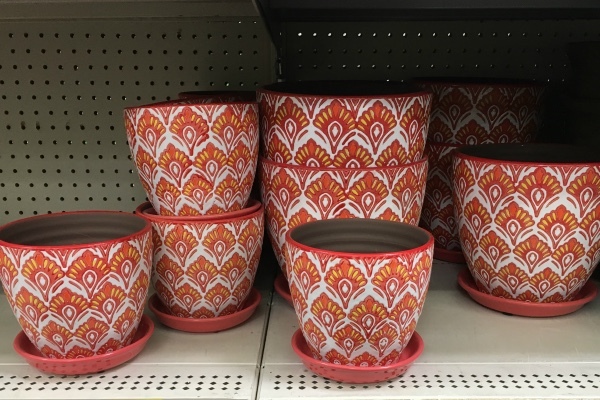 I have a few plants around the house that need to be repotted and I like the print on these pots (also available in blue). And lastly, don't forget about the backyard! We added string lights around our back patio and pool fence last spring and we love it. 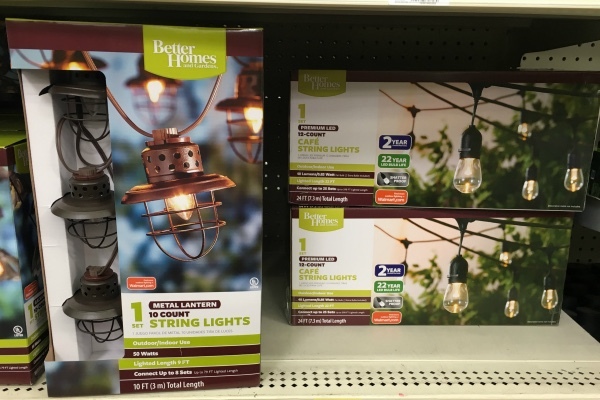 We just bought globe lights and white Christmas lights, but these lantern string lights ($17.87) would be a fun addition. So what did I buy (besides dog treats and toothpaste)? 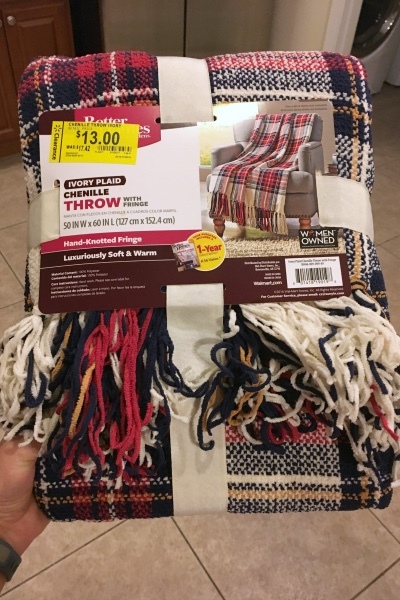 I found this plaid, winter blanket in the clearance aisle for $7 (previously $13, originally $17.42). It's too warm for it now, but I'll stash it in my linen closet until the fall. Haha yes! My bank account loves when I stick to virtual shopping! 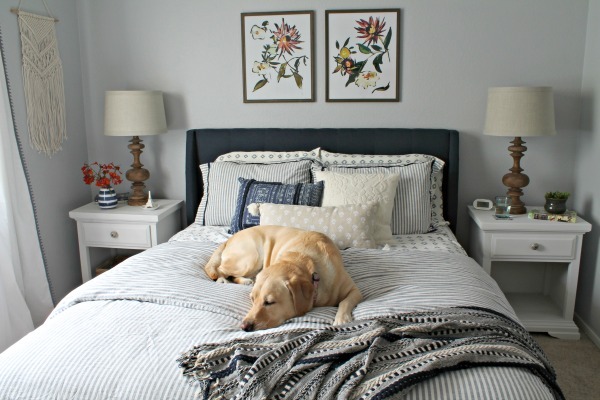 I love all the inspiration items you've been eyeing up. It's going to be a fabulous space, and you are smart to choose the garage, since organizing a large space like that will be so beneficial for years to come. Looking forward to following along.